We invite you to a meeting in our conference rooms. 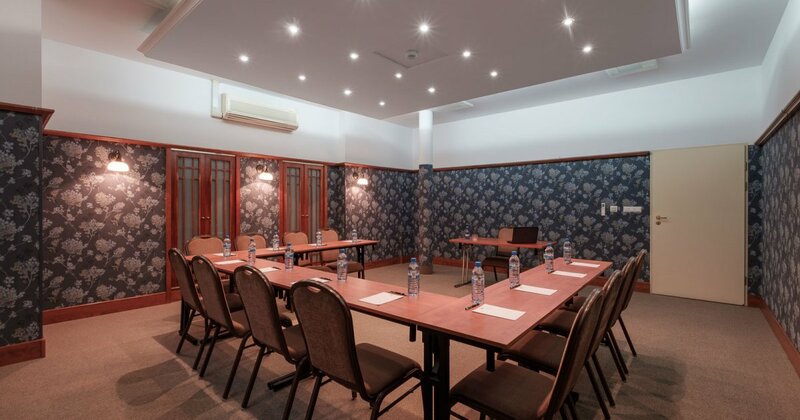 Our conference rooms have access to daylight with partial or full blackout possibilities and efficient air conditioning. Aromatic coffee breaks and delicious lunches may be served in the restaurant during the breaks in your meeting. 95ppl. 30 ppl. 30 ppl. 60 ppl. 18 ppl. 18 ppl. 30 ppl. 16 ppl. 16 ppl. 60 ppl. 26 ppl. 26ppl. Ask for the availability just now!